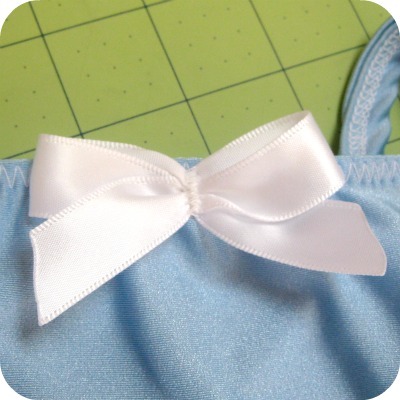 This is by far my favorite, and easiest way, to add some interest to clothing that I make for my daughters. I add them to necklines, sleeves, the sides of pants, skirts, belts, socks (shown above) ... you name it. 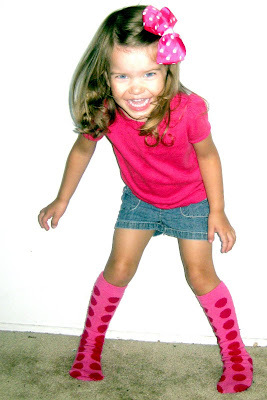 Cute and Easy ... what could be better? 1. 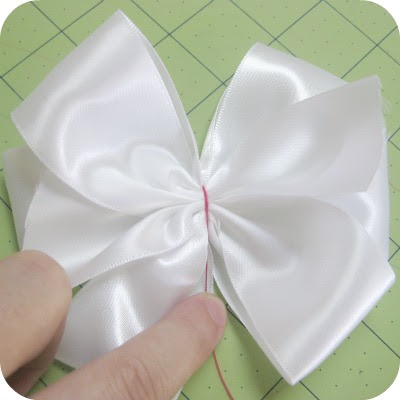 First decide what size bow you would like (this is the final width of the bow) and cut the length of ribbon. My template guides can be found HERE. 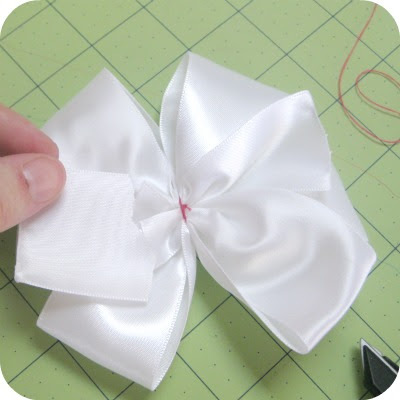 (The bow in the following instructions is made with 1 1/2" ribbon and using the 4 1/2" wide template). 2. Second FOLD the ribbon in half and press the fold to create a crease -- this is the center. 3. 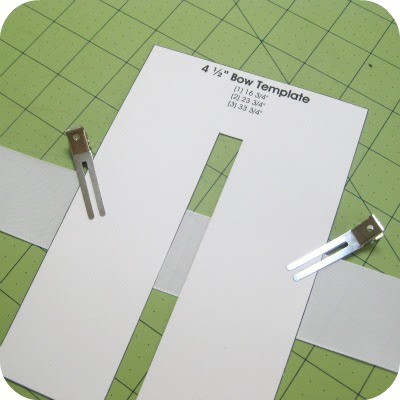 Align the center crease in the middle of the template guide. 4. 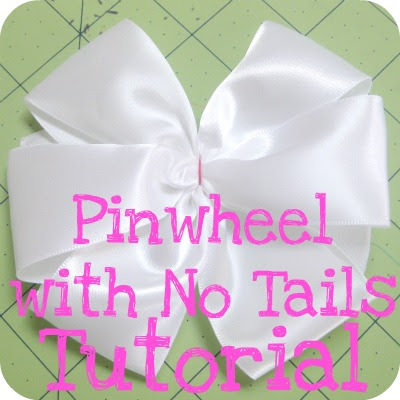 Fold the tails of the ribbon over the template, aligning the top of the tail with the bottom edge of the opposite tail. 5. 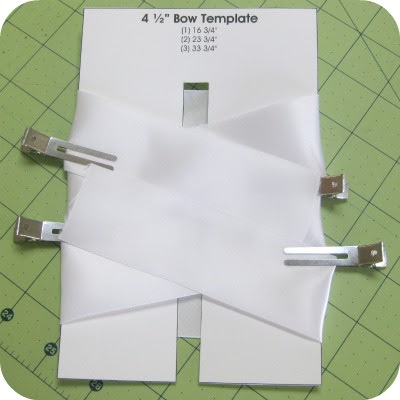 Flip the template over and fold the ribbon tails over the template, aligning the top and bottom of the tails with the center ribbon. 6. 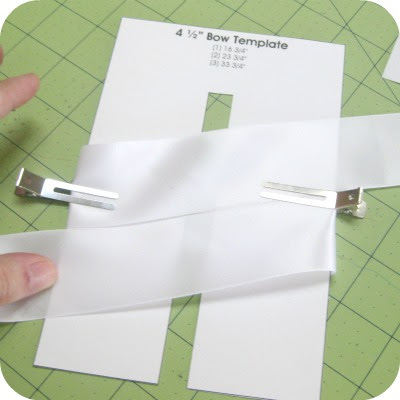 Flip the template over again and fold the ribbon tails over the template towards the center of the ribbon. 7. Using a needle and thread STITCH a running stitch through the center, making sure to go through ALL layers of the ribbon. 8. 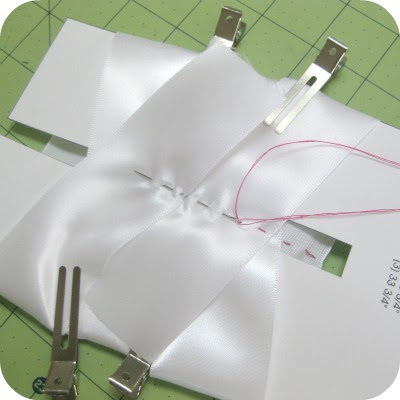 Slide ribbon off the template and pull on the the thread to gather the stitches. 9. 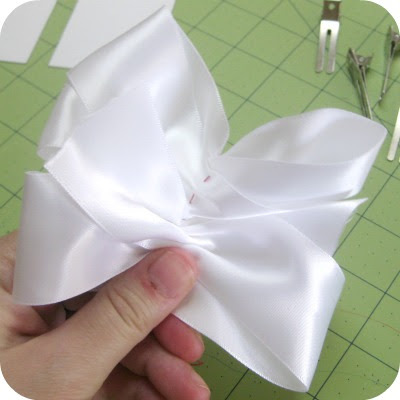 Pull on the thread and wrap around the center of the ribbons tightly, and tie with a knot to secure. 10. 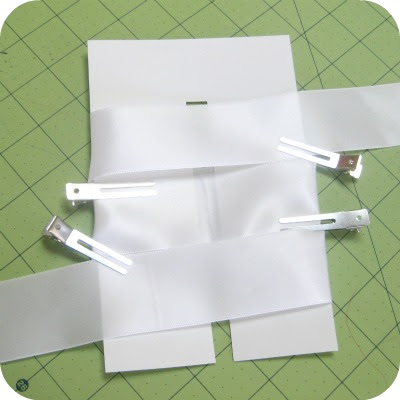 Trim ribbon tails and heat seal with a lighter so the ribbon won't fray. 11. 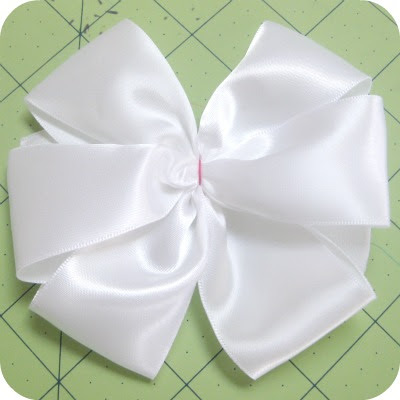 Finished bow ... isn't it pretty? 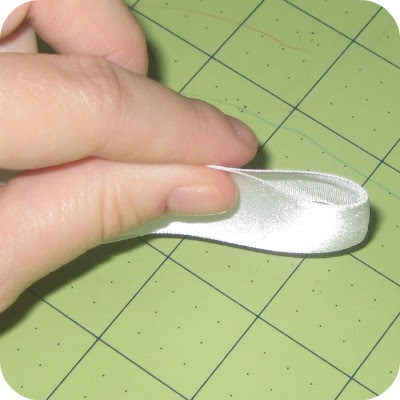 Now it's ready to glue to a hair clip, or add it to clothing.